THE FACILITIES Event, the leading exhibition dedicated to the UK’s facilities and workplace industry, has announced top FM experts who will be tackling the industry’s biggest challenges during a packed seminar programme at this year’s event held at NEC, Birmingham on the 9-11 April 2019. The free-to-attend programme will be hosted from a central theatre, The Facilities Hub, and will consist of 18 sessions featuring 30 of the most knowledgeable professionals in the UK’s FM industry today. All session content is CPD accredited and will be delivered across what the organisers are calling the ‘Five pillars of FM’. These five streams cover key elements within the FM profession and include cleaning services, security, catering, property management and support & technology services. "Our aim has been to design a programme which appeals to all levels of FMs working in the UK today. We know that there are many time pressures on those who are keen to attend The Facilities Event. This year our focus has been to deliver valuable training sessions with very practical take-aways with content that attendees can use to improve working practices at their organisation.” says Rachel Godfrey, Event Manager, The Facilities Event. 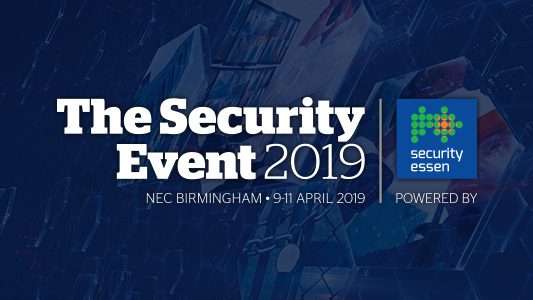 Those attending The Facilities Event 2019 will also get free access to its co-located events; The Fire Safety Event, The Health & Safety Event and the brand-new The Security Event. Each event features its own professional seminar programme and a host of global brands demonstrating their technology and services. On Tuesday 9th April, Mark Miller, Workplace Technology Strategist from worldwide leader in IT and networking Cisco, will be discussing the changing workplace and its technology in his session Demystifying workplace technology. The workplace is going through a time of unprecedented change and organisations must rethink how workspace design, workplace policy and technology can come together to create a sustainable, fit-for-purpose and future-proof work environment. Mark will take a non-technical look at technology and will demonstrate how Cisco is using technology in its own offices. Also on Wednesday, Mike Boxall, managing director, Sitemark, the de facto standard for good buildings, explores what benchmarking and challenge the common misconception around what it means in his session Benchmarking: it’s not all about cost.